10 Things You Don't Know About Cremains: Our Experts Explain..
It’s not exactly dinner party conversation, but cremains is an interesting topic. So what do you know about cremains? Well firstly, it comes from the two words “cremated” +”remains”. If you’re still interested, this guide will go through some other interesting things about cremains. We’ll discuss things like what they look like, how much you receive after cremation, and what to do with them. The word is actually a portmanteau, combining the words “cremated and remains”. It can also be commonly called ashes and remains. It is the bone matter that remains after the organic material is incinerated. The average weight of remains is approximately five pounds. 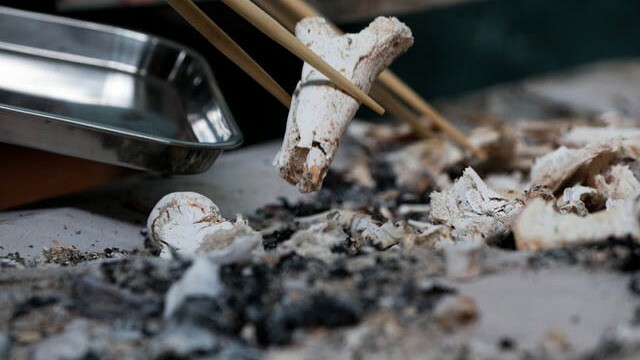 What is left after the cremation process are only bone fragments. Therefore, a tall person leaves more remains than a short one. Men generally have denser bones than women. In addition, young people commonly have denser bones than older people. So younger male’s ashes will weigh more than elderly women. Furthermore, adult ashes represent roughly 3.5% of the original weight and 2.5% for children. They typically have a relatively uniform, but coarse texture. The color is normally a pasty white, but can be gray at times. As mentioned, they average around five pounds for an adult. What are human ashes made up of? The word “ashes” is typically used instead of “cremains”. But contrary to common belief, cremains are not ashes at all. 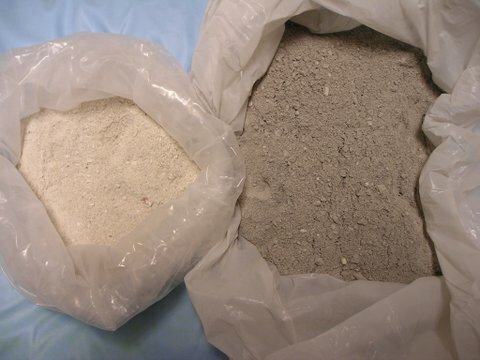 For the most part, they are dry calcium phosphates together with some other minerals, including potassium and sodium, which in simpler terms means bone matter. While pet cremation is also a popular option, you maybe interested to know that their remains is almost the same as human ashes. Can you bury ashes in a cemetery plot? Yes, you can. This is referred to as interment of ashes. It is the same burial process as you would with a body, except of course, cremation plots are much smaller. In many cases, cemeteries allow more than one body to be buried in a single plot, making it more economically feasible as well. Some cemeteries and sections are strictly intended for cremation burials. If there is not one in your area, most traditional cemeteries have a designated area and some have burial gardens for interring ashes. How much does it cost to bury an urn? It costs around $600 to bury cremated remains in an urn plot. As opposed to about $1,100+ for a traditional burial plot. These cremation prices usually cover the cost of opening the ground for the burial and then backfilling the grave after placement of the body or urn. For those looking for a cheap cremation option, a direct cremation is the most simple and affordable option. Cremation is actually possible without using a flame. Also know as alkaline hydrolysis or resomation, a water based cremation is proven to be much more eco friendly and sustainable. It mimics the decomposition process of when someone is buried underground, using a combination of water and potassium hydroxide. Crematories utilize high-powered furnaces known as cremators that are fueled by either propane or gas, generating a heat that reaches an average of 1800° F.
The heat in the chamber, also known as the retort, normally maintains the intense temperatures due to the thick and heat-resistant insulation of refractory bricks. Most modern cremators are operated by digital controls. Typically, there is also someone present who monitors the process to ensure there are no heat fluctuations that would interfere with the cremation. In most cases, the body is positioned inside a container such as a cremation casket or a wooden or cardboard box, which are specially made to burn quickly and leave very little residual material. When the appropriate temperature is attained, the body is placed into the chamber for around two hours, more or less depending on the size of the body. The remaining bone fragments are allowed to cool for approximately 30 minutes. They are then run through a magnetic field or scanned manually with a magnet. This is to extract any remaining metal, such as casket handles, tooth fillings, or surgical implants. Pacemakers must be removed in advance of the cremation due to the possibility of explosion. The bone fragments ground down into the gritty sand-like substance. Those are placed into a container and presented or sent to the family. 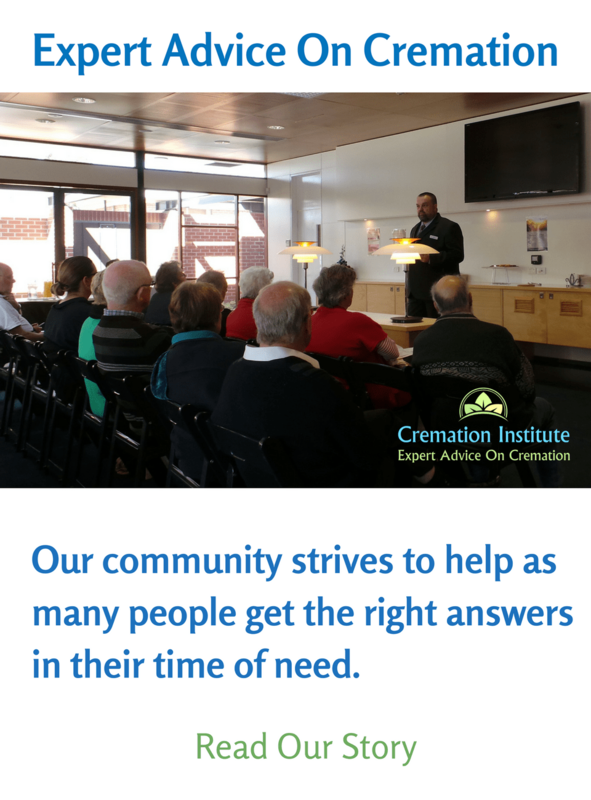 If you’re interested about the whole procedure, have a read of our cremation process article. There are countless options, below are just a few ideas for ashes. If you’re interested in a full list, we’ve created an article dedicated to what to do with cremains. It’s basically an above ground mausoleum for ashes. They are frequently free standing wall structures that have niches for placement of the urn or other container. You can usually find them at cemeteries, funeral homes, and churches. Sometimes a columbarium can also contain more than one container or some small possessions of the deceased. This is another method that provides a location for family and friends to visit their loved one. This preferred by about half of the people who choose cremation. There are any number of locations to scatter ashes. Frequently, it’s a place that was special to the person who passed, which we’ll discuss further below. They’re might be religious restrictions on scattering, for example Catholics prohibit ashes scattering. Displaying the ashes in a cremation urn is also a very popular method. There are unlimited containers in which to choose for the displaying. They can be common ones made of marble or brass. 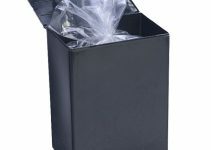 You can choose a biodegradable urn or tree urn, which are environmentally friendly options. For couples, companion urns allow for the ashes of both people. If you have unfortunately lost a child early, you may want a baby urn. You may have noticed one of these before sitting on someone’s mantel. Stunning jewelry can even be made from a small amount of the ashes. You can turn the memorial into necklaces, bracelets, rings, and other designs. 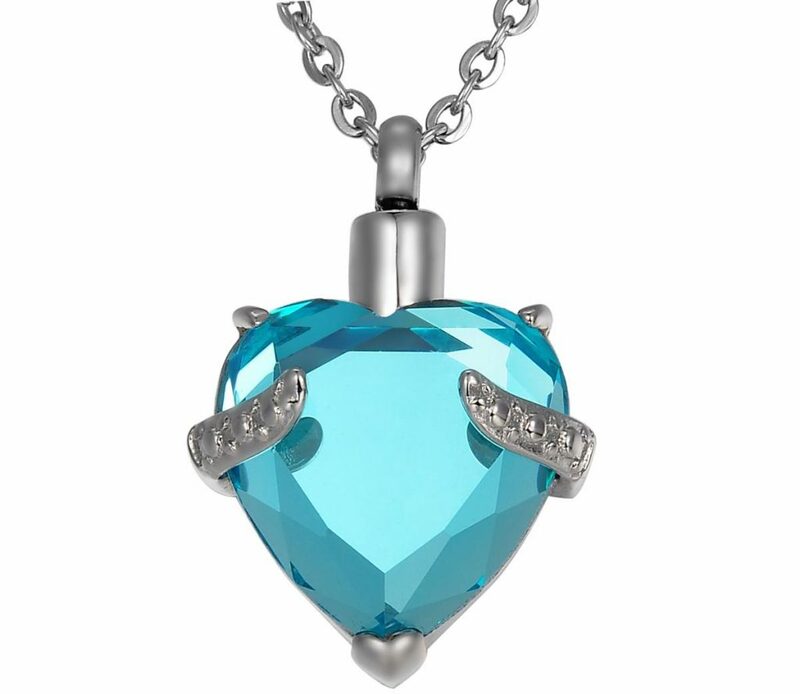 They are either mixed into the materials used to make the jewelry or they can be inserted into it (called Keepsakes). Another beautiful and creative way to commemorate the life of a loved one. Using some of the cremains and the specialized skill of an artist, a glass or silver memorial is created. 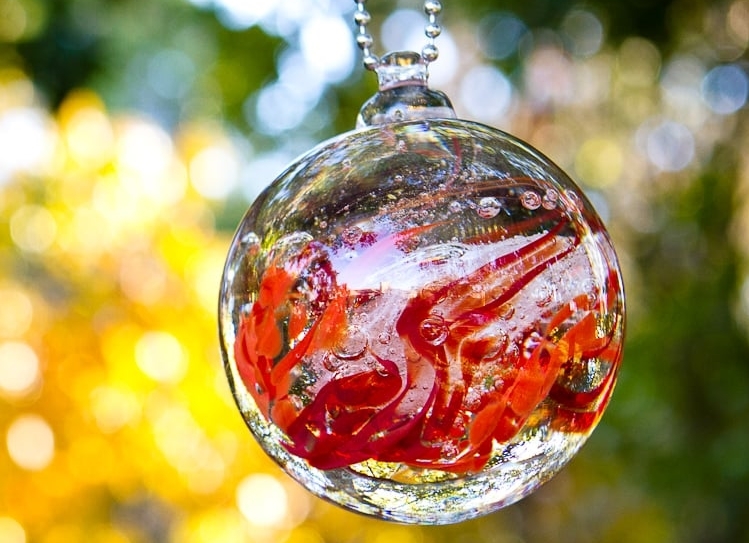 Cremation glass art is a particularly popular option for creating paperweights, vases, orbs, and many other memorials. 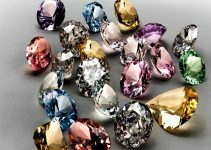 Did you know that you can turn ashes into diamonds? 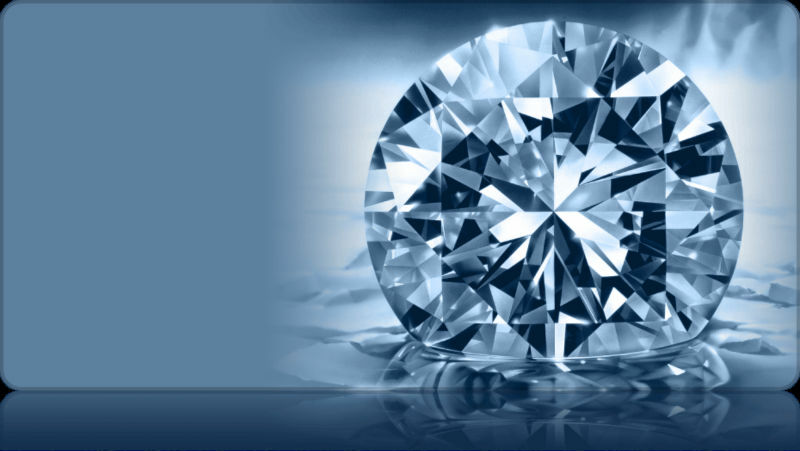 These diamonds have become a very popular method for memorializing a loved one. Just like with human remains, you probably will want to do something with the remains of your pet. 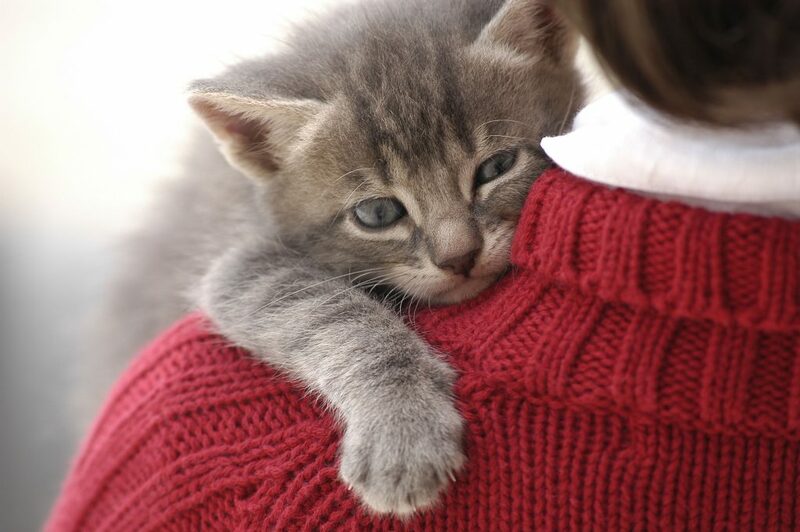 If you need some information about cremating a pet, be sure to check out our dog cremation and cat cremation guides. For those looking for some inspiration on what to do, read our recent article about dog memorial ideas. You will be sure to find something that tickles your fancy. If you’re looking for something small to put around the house, we would recommend a cremation urn for dogs. A dog headstone is also a wonderful way to always remember your little friend. Some of our guides above for dogs can most certainly be used for cats as well. But if nothing seems to be perfect, you can check out our cat urns guide. 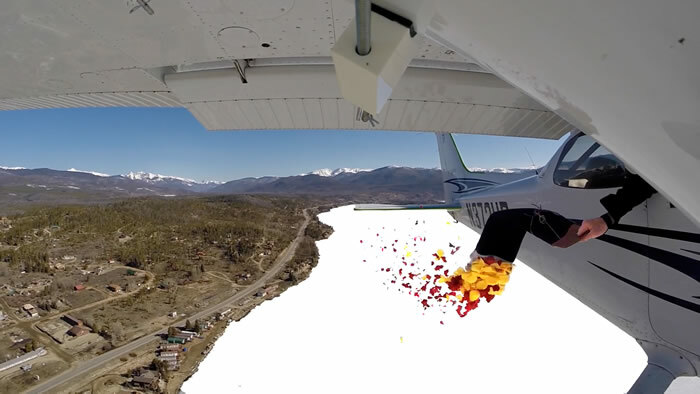 Spreading or otherwise known as scattering the remains is one of the most common send offs. Frequently, the main question is where you should scatter them. Below are only a few of the countless places to consider. 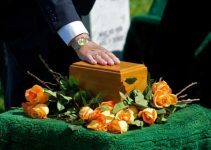 If the deceased loved nature, you might scatter their remains in one of their favorite patches of woods, a snow-capped mountain, a special nature trail, or any place that gave them peace would be perfect. If they loved the open waters, you might consider scattering at sea. Perhaps the departed loved to grow plants, therefore, scattering their ashes in a lovely garden that they grew themselves, might make them especially happy. Maybe they were skydivers, loved to ride in hot air balloons, or just enjoyed flying, then scattering the remains from an airplane could be the ultimate idea. Remember that some places may forbid scattering or you might have to obtain special permission. Ask the local authorities in advance. 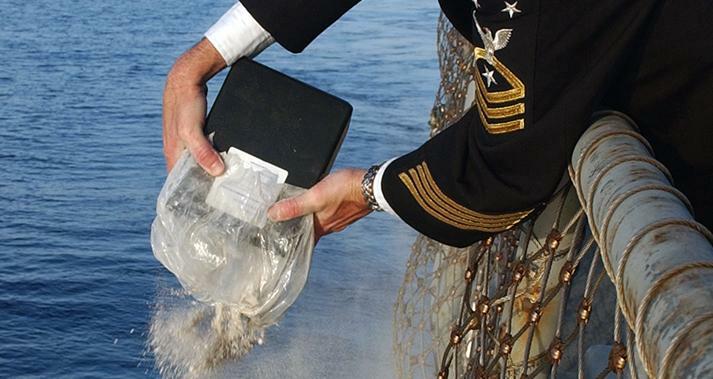 It’s not uncommon to transport the ashes across the country or internationally. 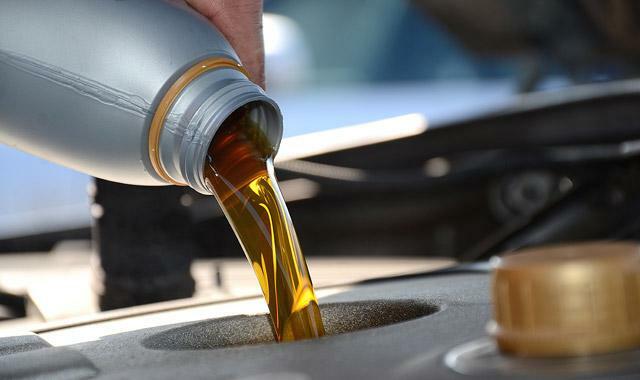 While it’s not extremely difficult, there is certain paperwork and other procedures that you will need to arrange. It must be shipped by Priority Mail Express. It has to be packaged in inner and outer sift-proof containers with ample padding so that the contents do not move around. The addressee’s and the sender’s name and address much be included inside the box in case of damage to the outer label. 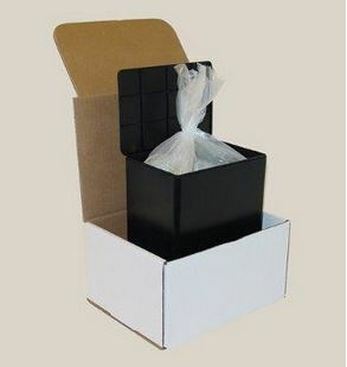 In addition, you should place a label with the identity of the contents on the outside of the box. The postal service has these available. The postal service also has all the instructions on their website or you can download them at their publication #139. The US Postal Service also ships internationally, unless the country to which you’ll be shipping prohibits receiving remains. Be sure to check in advance. It should be packaged the same as with domestic, shipped First-Class Package International services, and use Registered Mail service. The paperwork is also the same as with domestic but, you’ll need to complete a customs declaration form as well. Check the particular airline you will use for any specific policies regarding the transport of ashes as carry-on or as cargo. Some airlines require advance notice and may require documents such as a death certificate. If traveling internationally, you might need export paperwork from your embassy. A funeral home or crematory should be able to provide you with a Non-Contraband Affidavit if it’s required. When using air transport, you must use packaging that can be x-rayed. But why are one persons cremains a lighter color than anothers? Is it the body or the cremation process that causes one to be more white and another persons to be more dark grey? If a person dies in hospital at USA how many days will it take delivery of body by relatives & how many days will take cremation & get ash. I’m glad you mentioned that it’s not hard to take cremated remains out of the country, but you will have to fill out some paperwork first. My husband’s aunt recently passed away and wanted to have her ashes scattered somewhere special to her, which happens to be in France. I’m glad I read your article because I hadn’t really thought about the required procedures for transporting cremated remains.